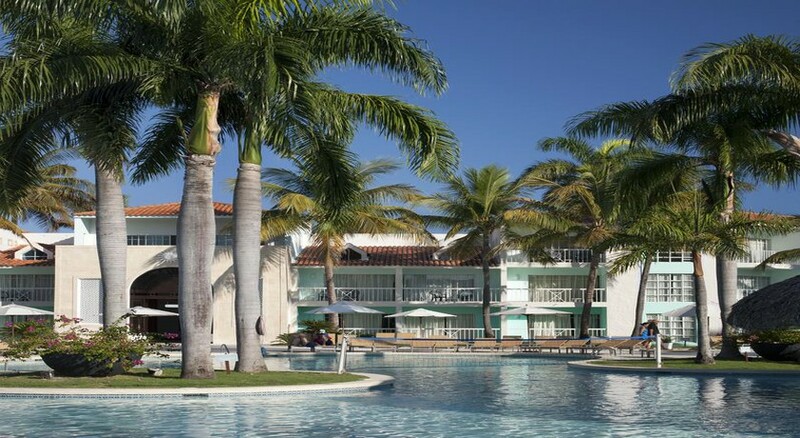 Vh Gran Ventana Beach Resort is an all-inclusive family-friendly resort, located in Playa Dorada, a gated oceanfront community on the northern coast of the Dominican Republic. Noted for its cordiality and warm hospitality. This hotel is a traveller’s favourite for its amazing oceanfront location and exhaustive range of guest amenities. It offers plenty of opportunities to relax and rejuvenate. From the dazzling beach to the sparkling pools to the kids’ club and a lovely pool are some of the avenues available to recharge your batteries. The friendly staff and warm hospitality on offer makes guests feel in a home away from home while on their beach vacation. Located in the heart of the exclusive Playa Dorada community, Gran Ventana Beach Resort in Puerto Plata is one of the friendliest and most welcoming resorts on the north coast of the Dominican Republic The resort is easily accessible from two local airports: Puerto Plata Airport is only 15km (10 miles) away and the Cibao International Airport is 70km (45 miles) away. 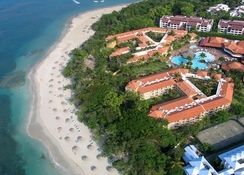 The Puerto Plata City is a 10-minute drive away. 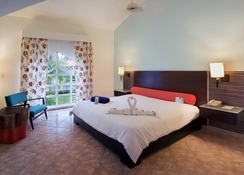 Gran Ventana Beach Resort has 506 beautifully-appointed superior guest rooms, junior suites, suites and penthouses, all offering magnificent views of golden sand beaches of the Dominican Republic’s northern coast. The architecture follows the grand colonial style and rooms are nestled in distinct three-story “villages.” Expect lush lawns, tropical gardens, soft aqua shades and palm-lined avenues surrounding the rooms. 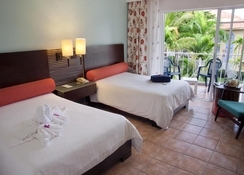 The Puerto Plata rooms and suites offer a spacious balcony or terrace and offer extra privacy to romantic couples. Gran Ventana Beach Resort has a large range of restaurants to satiate the diverse palate of guests. Dine amidst a relaxed ambience from a select menu of fine cuisines from around the world. 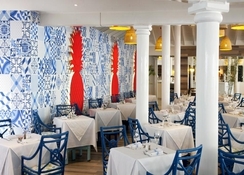 Take your pick from Las Almejas Buffet Restaurant which serves all major meals to Octopus an elegant gourmet Caribbean restaurant with a warm, hospitable style to Sapore Di Mare for choicest Italian cuisine, the guests can sample it all with prior reservation. 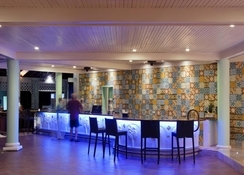 There are seven delightful bars spread across the resort to enjoy cocktails and light bites. The hotel has a tranquil pool where guests can relax and a Kid’s Club where the tiny tots can stay occupied. The palm lined tropical gardens and lush lawns of the hotel are excellent for a leisurely stroll.